Hethel was built in 1942 for use by the USAAF as AAF Station 114 as was initially used as a staging airfield for units of the Twelfth Air Force deploying to North Africa. 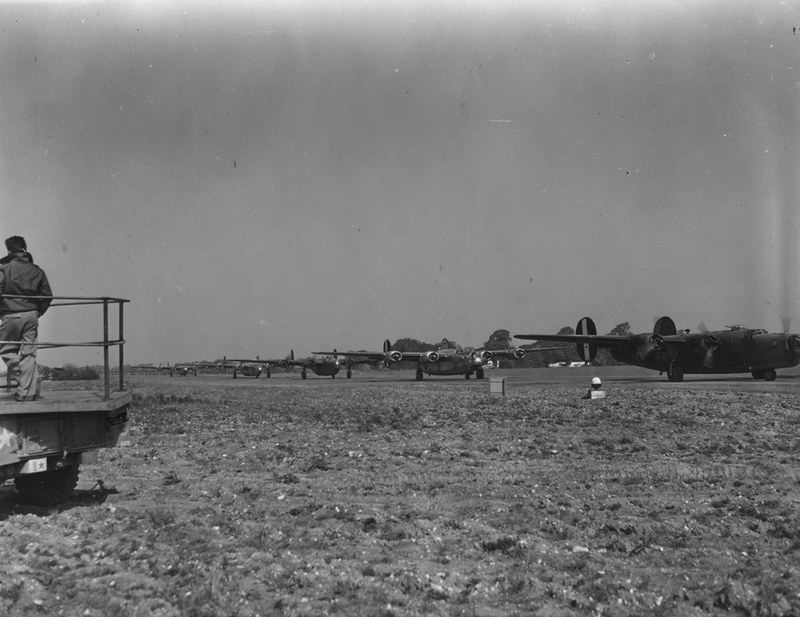 At this time, Hethel was also used as a training airfield for other B-24 Liberator groups in the Second Air Division of the Eighth Air Force. 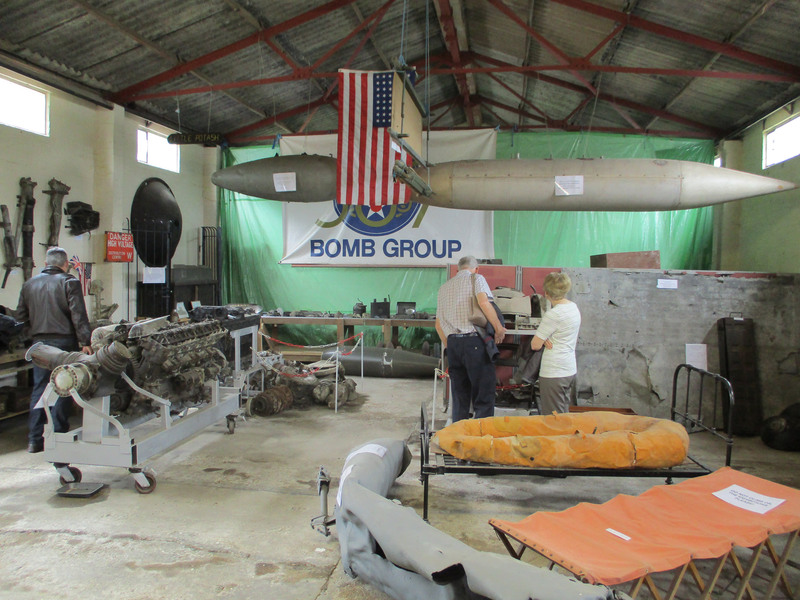 After the base was fully complete it was assigned to the 389th Bombardment Group (Heavy), and being part of the Second Air Division it was equipped with the B-24 Liberator. After arriving in England, a detachment was sent to Libya, where it began operations on 9 July 1943. The detachment flew missions to Crete, Sicily, Italy, Austria, and Rumania. The group received a DUC for the detachment’s participation in the famed low-level attack against oil refineries at Ploesti on 1 Aug 1943. For his action during the same operation, 2d Lt Lloyd H Hughes was awarded the Medal of Honor: refusing to turn back although gasoline was streaming from his flak-damaged plane, Lt Hughes flew at low altitude over the blazing target area and bombed the objective; the plane crashed before Hughes could make the forced landing that he attempted after the bomb run. From October 1943 the 389th BG flew operations into occupied Europe and Germany attacking strategic targets such as the shipbuilding yards at Vegesack, industrial areas of Berlin, oil facilities at Merseburg, factories at Munster, railroad yards at Sangerhausen, and V-weapon sites at Pas de Calais. 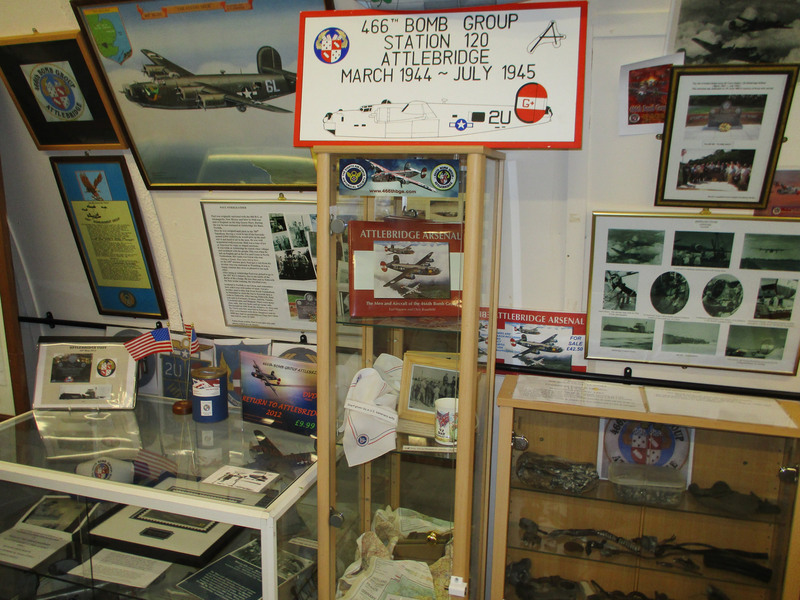 The group also took part on “Big Week” between the 20th and 25th February 1944 which saw the Eighth Air Force launch a series of raids against German aircraft production sites, and also flew tactical missions in support of the D-Day landings and the Battle of the Bulge in December 1944 and January 1945. Having lost 107 aircraft during its campaign, the 389th flew its last combat mission on 25th April 1945, returning to the USA on 30th May. 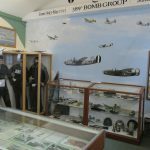 Like many of the Eighth Air Force stations in the immediate aftermath of WW2, Hethel was handed over for use by the RAF where it was used by Polish squadrons equipped with the Mustang. 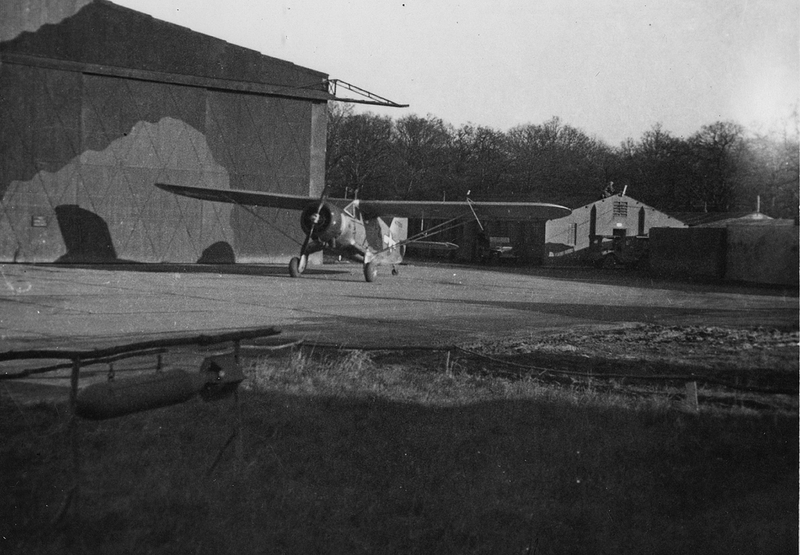 In mid-1947, Hethel became a Personnel Transit Centre but was transferred to RAF Technical Training Command. 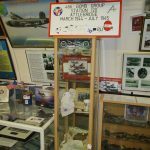 However, as the RAF was scaled down RAF, the station was finally closed in 1948 and was finally sold by the Air Ministry in 1964. Today the site is used by Lotus Cars who built a factory on the site in 1966 where some of the former runways and taxiways were converted for use as a test track. 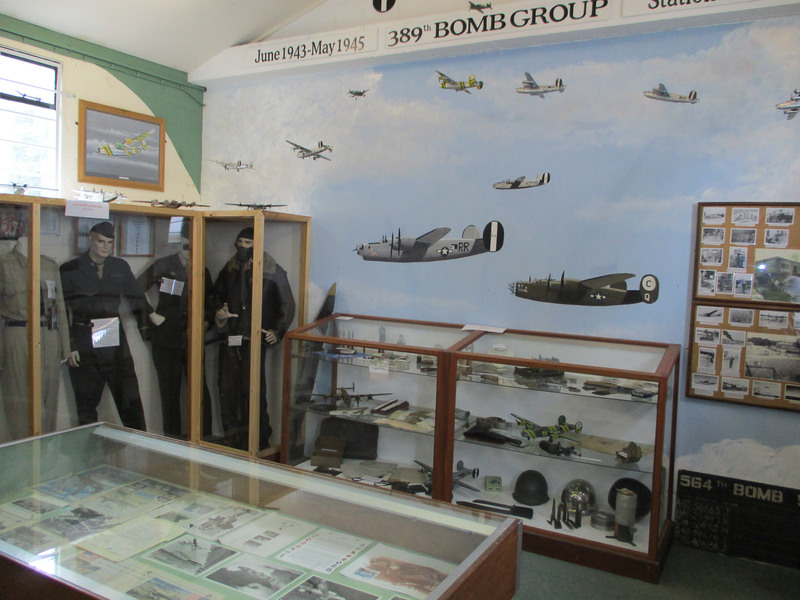 A small museum dedicated to the former airfield has been created nearby. 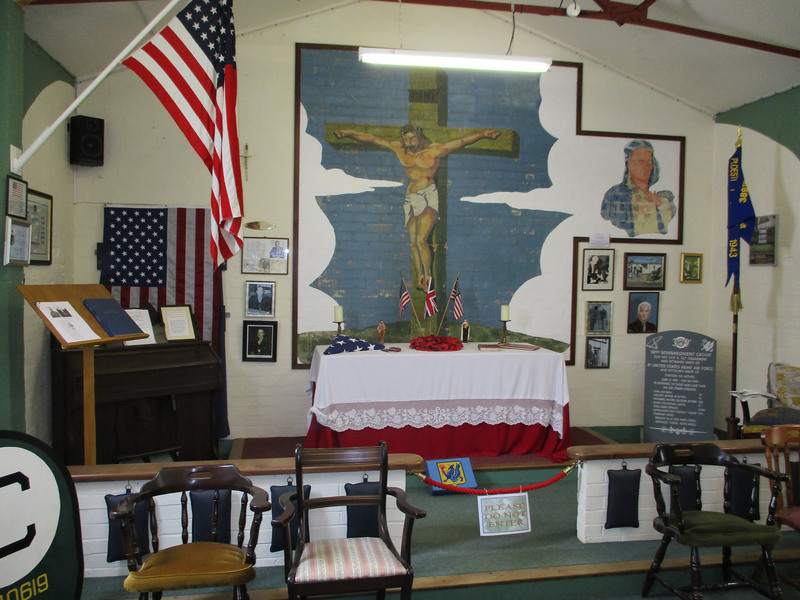 This museum is a commemoration of the contribution made by the 389th Heavy Bombardment Group and is housed in the original Chapel/Gymnasium building; the only major building from the camp area of Hethel to remain. 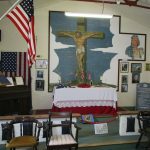 The building features an original mural of Christ on the cross in the chapel and of a map of Europe in the Chaplin’s quarters next door. 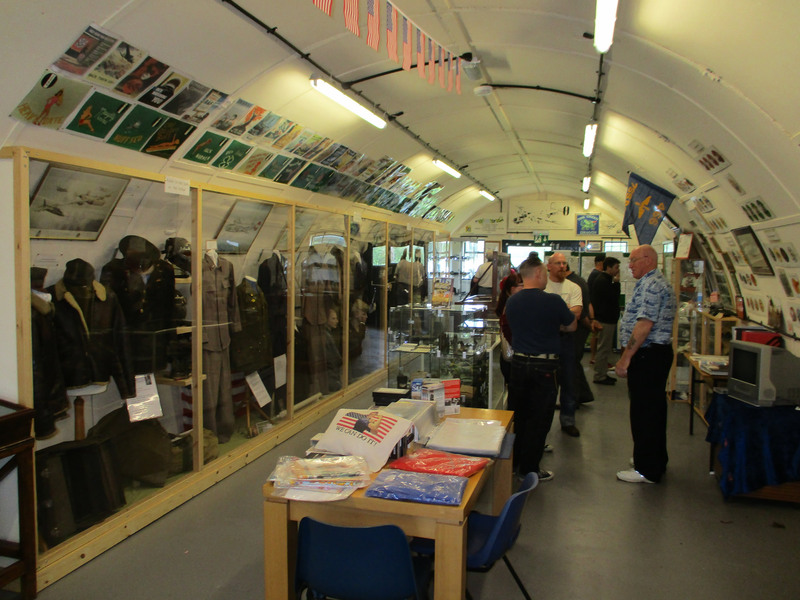 The exhibits include memorabilia, uniforms, decorations, combat records and photographs. 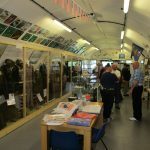 There are two recently reconstructed Nissen Huts which have extended the display space and added facilities for visitors; one of these also includes artefacts from the nearby 466th BG at Attlebridge.